I’m John Schlimmer. I’ve driven my 99 Chevy van over 1.2 million miles testing and verifying the remarkable lubricating ability of the Amsoil synthetic oil products. Raised on a farm in west central Ohio. I was introduced at an early age to driving farm equipment and working with small engines. I soon learned the oil was the lifeblood of an engine and that it needed to be changed often. Back in the good ole days engines weren’t that fuel efficient. Carburetors were used to literally pour gasoline into the cylinders. When the gasoline ignited some of the gas seeped pass the piston rings finding its way into the oil pan diluting the oil reducing lubrication and increasing metal to metal wear. However today that has all changed. Engines are more fuel efficient and the quality of oil has risen. Most vehicles today are capable of going 5000-7500 miles or more on an oil change with petroleum oil. And up to 12,000-15,000 with a good synthetic oil. But most folks today find that hard to believe. Their minds are stuck in the stone age at 3-5,000 oil changes. 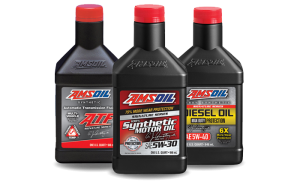 So after 40 years of being around trucks, tractors, small equipment and personal vehicles, in April of 2000, I was introduced to Amsoil synthetic oil. What sparked my interest with Amsoil was the 25,000-mile oil change. 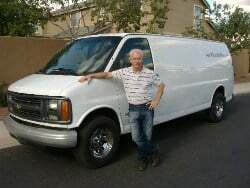 I started a delivery service in September of 1999 and by the first of the year 2000 I was driving 8-10,000 miles a month! Guess what I was doing twice a month? Changing my oil! Every 5,000 miles. Needless to say, changing my oil every two weeks or 20 times a year was getting to be like a root canal. So what you’re going to see on this website is my million mile journey with the Amsoil products. I went from changing my oil 20 times a year to just 4 times a year. Now for those of you that make a living driving down the highway…you are about to discover the 25,000-mile oil change and how Amsoil synthetic oil can save you hundreds of dollars a year with increased MPG and less maintenance and repairs. For those of you that drive 15-20,000 miles a year and want to keep your vehicle for several years the once a year oil change is all it takes. I’m here to help and support you. Don’t hesitate to call me for assistance in choosing the correct oil and filters for your vehicle or equipment.